Alpacas in my yarn store! 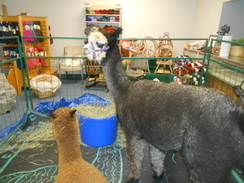 Back in April, two of our alpacas came to visit our yarn store. Twitter and Socks were an instant hit. Imagine the surprise of folks who came in the other part of our store just to get a vacuum fixed! "Lawdy, Miss Scarlet! I don't know nuthin' 'bout birthin' no babies!" Well, last Sunday I felt just about like Prissy in "Gone With the Wind"! We had just finished a day and a half of shearing and I was cleaning runs, all the while keeping an eye on one of my girls, Tweeter. She had looked uncomfortable all day, so we had checked with our vet and found that she was out of town. I had about given up on the baby being born that day, when all of a sudden there was a water bag--but no body parts visible. All I could see was the tip of something--turned out to be an ear. No progress was being made--so here's where the Prissy moment came. I had to wash up, glove up, and go in. 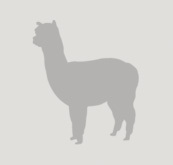 My first foray into alpaca innards didn't give me much info, except that intervention was necessary. So, back in I go and determined that the little fella's head was tucked down towards his chest. So, now what?! I had to push him back a bit to get room to maneuver and flip his chin up. Mission accomplished and I got a nose out. But, still no feet. So, I had to fish for a foot--got it--and the other one popped out. From there on, we were home free--and in a few minutes--there was a beautiful 19.2 lb gray boy. Thank goodness for neonatal classes! 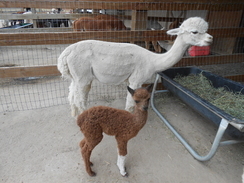 And like any good alpaca--as soon as his head and legs came out--Tweeter went back to eating! Well, GWAS has come and gone--now on to Nationals. We did not escape the rotavirus going around (diarrhea), but all are well now. Great show--great to see everybody! See you again at Natiionals--May 17-19 in Denver! Boy, does time fly! Our new fiber store is up and running! Many of you have been by, and we thank you! We keep getting more and more stuff in (not fast enough for me--but that's another story!) 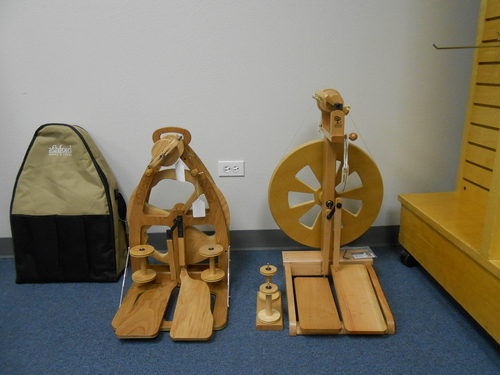 Every week is kind of like Christmas--getting in new rovings, new yarn, new spinning wheels! 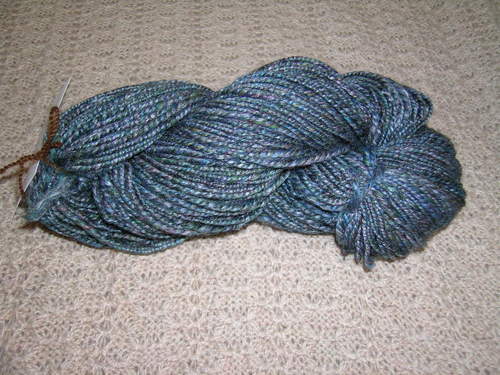 In rovings, we now have 15.5 micron merino, 50/50 yak-merino, beautiful dyed merino/silk, bamboo, tussah silk, alpaca, and much, much more. 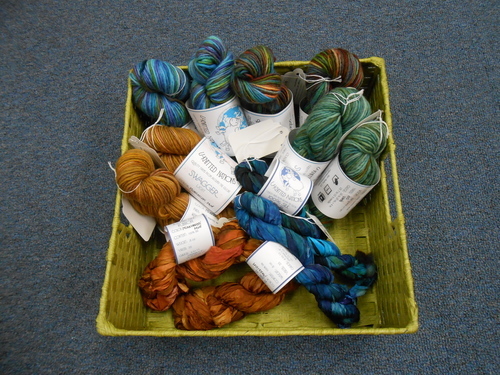 We have yarns from Misti, Plymouth, Pagewood Farms, Ashland Bay, and of course, our own animals. And we're getting more all the time. We even have a couple of children's books by our very own local authors! 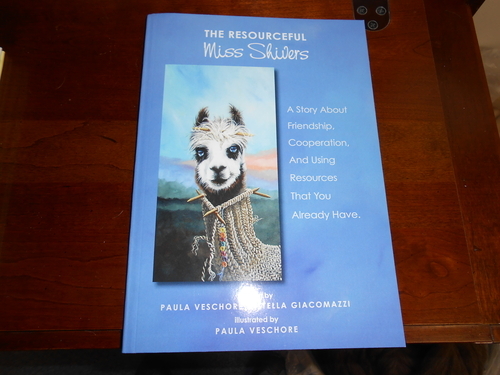 "The Resourceful Miss Shivers" (pictured below) by Paula Veschore and "Zadie and Plain Vanilla, the Rainbow Alpaca" by Barb Ziek (which gives you directions for koolaid dyeing. If you haven't been--come on by. If you have--come back and check out what's new--suggest what you'd like to see--or just come sit and spin or knit--whatever you'd like. We're that kind of place! Check our event page for class schedules. 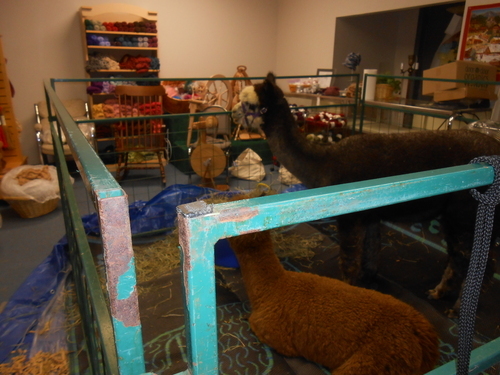 And, as always, if you'd like to visit the animals--call and schedule a time! Just went to ABR Fall Fest this weekend and had a great show! 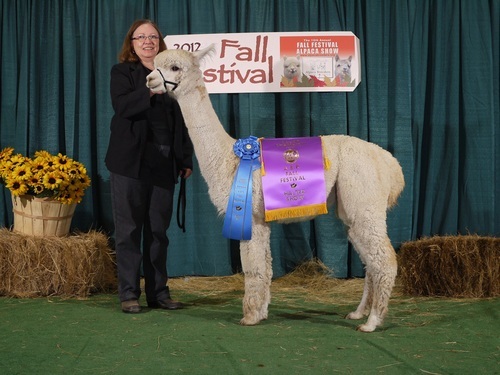 EON White Diamond's Elizabeth brought home our very first blue ribbon at halter and our first Color Champion--in white, no less. 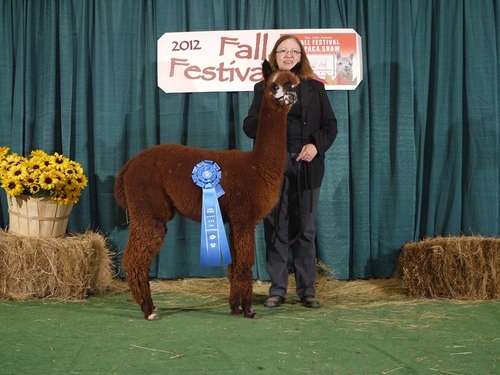 Thejudge said she has amazing, amazing, AMAZING fleece! 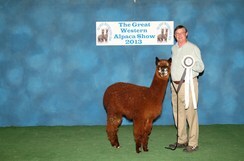 Our 2 year old dark siiver gray girl, Twitter, brought home a 2nd (to a light rose gray taking first). It was great seeing everyone who came out to Fall Fest! 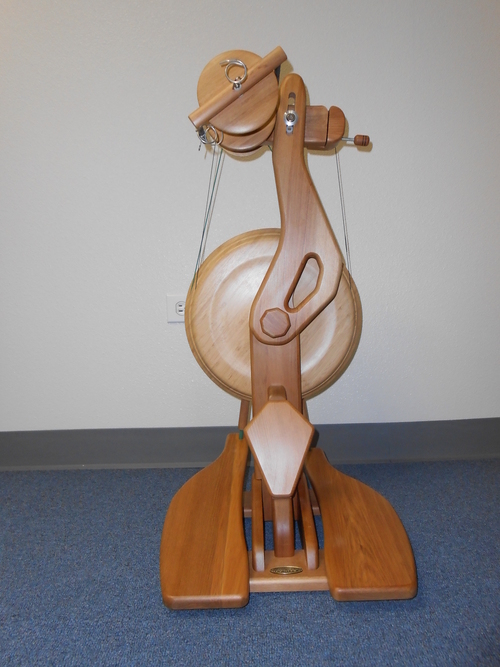 In the store--my Majacraft spinning wheels are in--come in and try them out! 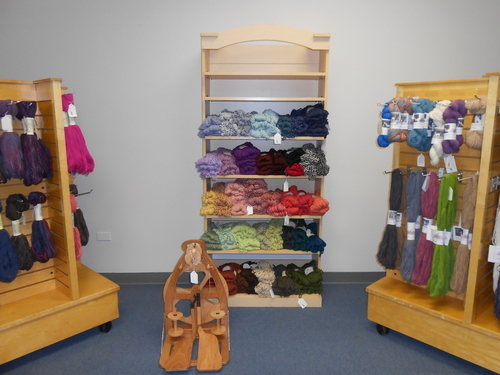 Give the gift of warmth this winter--alpaca! I don't know how a month can go by so fast, but it has! Since last blog, 2 babies have been born to join Socrates. 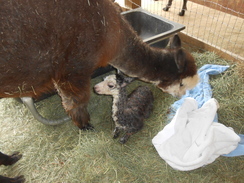 Last Wednesday, Margarita had a beautiful little rose gray boy, but he wasn't acting quite right. So watching and waiting. The next morning, sometime before 6:15, Diamond had a little white or beige boy (not sure yet). Strong as an ox. He was running before he was 6 hours old. The little rose gray boy, however, was not doing well. We started antibiotics and our vet came out Friday am. Turns out he wasn't going septic--he has a heart murmur. So more waiting and watching. Supplementing with goat's milk. Friday he seems to be getting stronger. Saturday he has started running a little, so hopefully we're on the mend. Thanks to lots of cyber friends on facebook, I'm hopeful he'll outgrow it. It seems that many do. In addition, my Blazing Star Ranch store inside our vacuum store, Anderson's Vacuums, is finally opening this Tuesday! 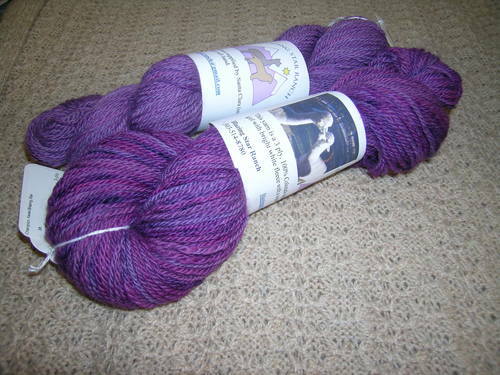 I have Ashford Spinning Wheels in and lots of alpaca yarn, some alpaca roving and wool roving. If you're in the Denver area, stop by. It's at 3424 S Broadway! We'll be getting more products in on an ongoing basis. Clara's little baby boy was born at day 352 on 7/25. He's a good looking little fellow! 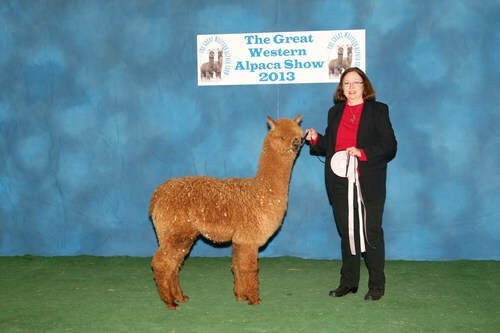 His dad is the the wonderful black herdsire, Aladdin of KPR and mom is, of course, Santa Clara. 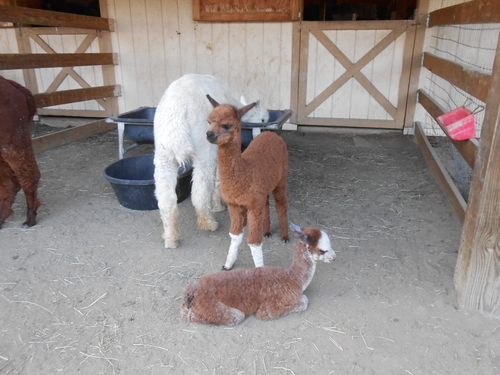 I bred Clara to Aladdin since she has some color in her background and got this delightful little brown boy with white knee socks in the front! 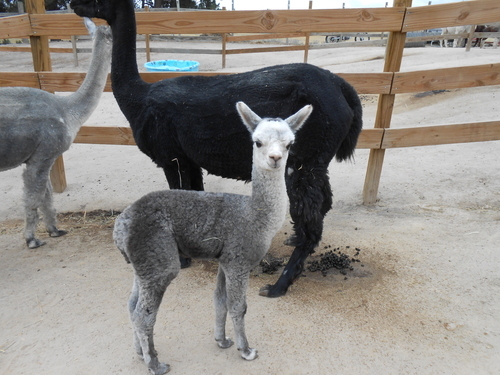 He looks to be very fine and has tight curls under his cria fluff. 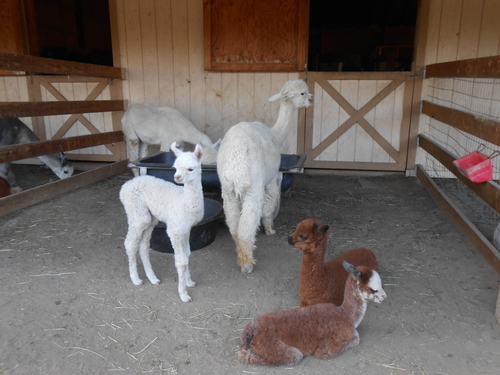 Well, all I have to say is, this business of alpaca breeding does allow for the practice of patience! 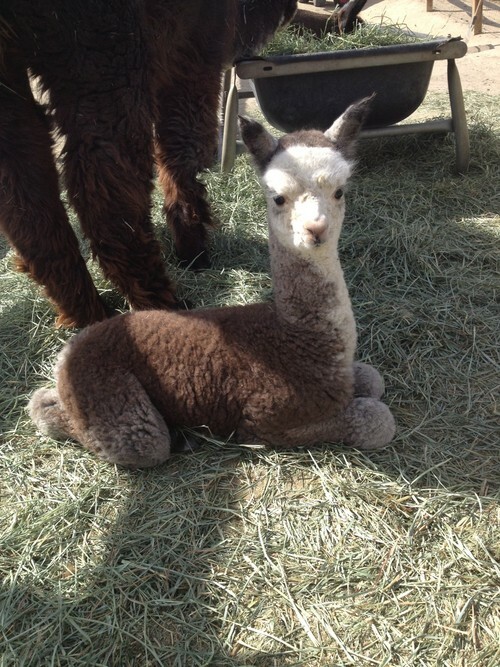 Santa Clara has decided to make sure this cria is fully baked. She's at day 351. That's all right with me, as her last one was a little early and not strong. Star was a beautiful little girl who never grew well and I lost her at 5 1/2 months last year. She was very sweet and adorable. I still miss her. That's the hard part of the business. In the meantime, though, a black female bred to my beautiful silver gray boy, Archangel, just had a beautiful silver gray girl today! So Archangel is now a proud papa! 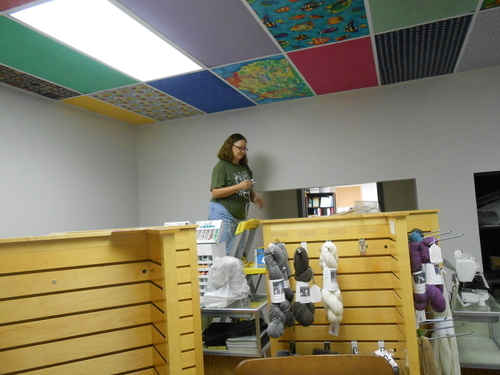 My fiber store inside Anderson's Vacuum is coming along, too! I'm painting this week, and next week, it should be open by August 1! Don't know when my spinning wheels will arrive, but again--patience! We're anxiously awaiting our Aladdin of KPR baby out of Santa Clara. She's due July 15. 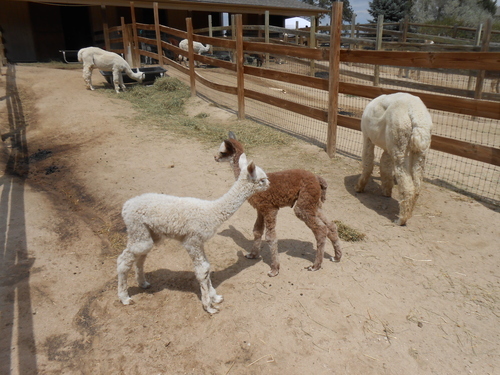 We've already had 4 babies at lazy Daze Ranch where I agist, but this is our first of the summer. Then we have a month to wait for more! We have 3 due in One week in August! Thankfully the heat has broken some. We'll be at the Parker Farmer's Market this Sunday, July 15 at the Pacabuddies booth. We'll have alpaca socks, yarn (both millspun and handspun), caps, scarves, felted rugs--all manner of things alpaca. Come see us! It runs from 8 am - 1 pm. There are exciting things going on at Blazing Star Ranch! 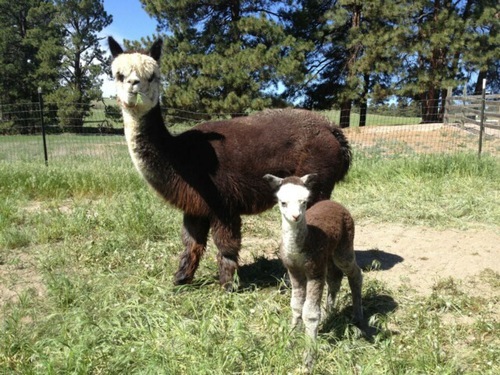 Our first cria of the year is due around the 15th of July, with 4 more to follow. We do already have 3 new ones at Lazy Daze Ranch where my animals agist! 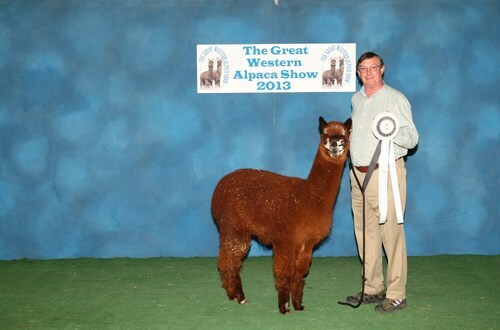 I LOVE crias. We are adding a bit more to the mix at Blazing Star. Coming soon, I will be carrying a line (or two) of spinning wheels. 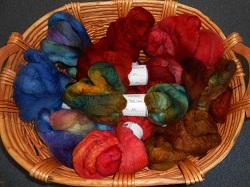 It seems logical, since we produce fleece (and I love to spin). I will have them in the fiber room I'm opening at Anderson's Vacuum and Sewing in old Englewood, at 3424 S Broadway. Of course, there will be yarn, fleece and rovings, too! We will be holding classes, as well. 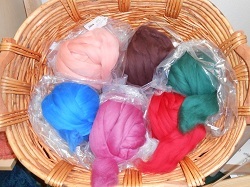 I am hoping to be ready for fiber folks there by the end of July - first part of August. I'll post when I have a set time. 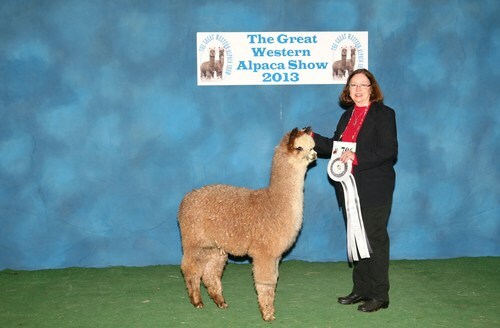 I also participate in Everything Alpaca in Castle Rock. As space is limited there, the wheels will be available on request. I can't wait to get going! Photos will be coming soon!